Next Level Contracting - 'A business built on reputation'. A family owned building maintenance business with over 20 years experience. 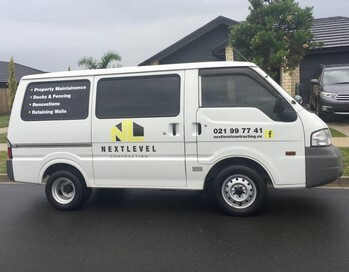 Next Level Contracting covers the full range of building maintenance, alterations and repairs in the Bay of Plenty and Auckland. Our broad experience ensures that every job is completed with professionalism and fully guaranteed workmanship.